The outrage caused in India when a Saudi employer chopped off the hand of his 58 year old female domestic worker made the headlines for exactly a day and a half in the victim’s home country. The twitterati, who set the news agenda, quickly moved on. After all, which Indian (or Pakistani, or Afghan) will cast the first stone? I was just wondering about international mechanisms to deal with this sustained exploitation and abuse of domestic workers across borders, when I received a mail from walkfree.org about exactly such an ILO mechanism, known as Convention 189 and its lamentably low ratification by the countries of the world. Convention 189 draws upon all other relevant international instruments such as the Universal Declaration of Human Rights, the Protocol to Prevent, Suppress and Punish Trafficking in Persons, the Rights of the Child, and the International Convention on the Protection of the Rights of All Migrant Workers… and many more. It entered into force on 5 September 2013. The Convention was initiated by the Philippines, probably for the very good reason that a large number of Filipinas are employed as domestic workers in the Gulf region, and there are constant stories of abuse in the local press ­­- yet the desperate keep seeking employment there. And Philippines remains the only Asian country among the Convention’s paltry 22 ratifiers – shame Asia, and North America. 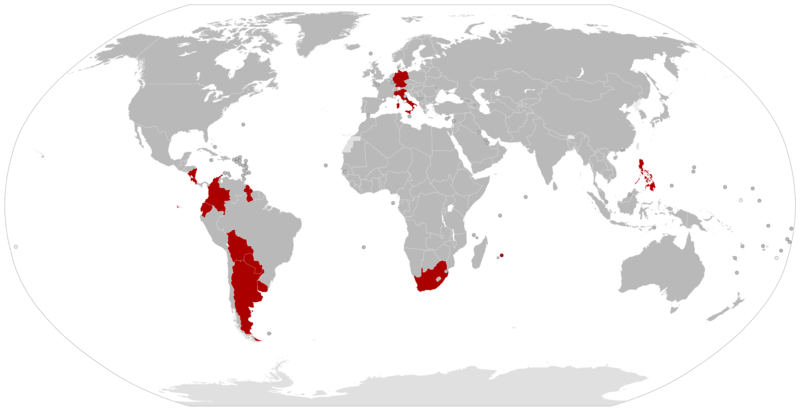 Understandably, the rise of left-wing Governments in South America gives that continent the best record in this case, with Uruguay being the first to ratify Convention 189 on Decent Work for Domestic Workers. And what about India? At the time of Independence, visionaries like Nehru and Kidwai succeeded in giving India one of the most compassionate and pro-worker set of Labour Laws, and India was at the forefront of enlightened labour legislation and at the ILO. But its record has been steadily blemished since 1991 when it jumped on to the unquestioned globalization bandwagon: Out of the 43 ILO Conventions and 1 Protocol ratified by India, 42 are in force, 2 Conventions have been denounced; BUT none have been ratified in the past 12 months. Good article and thank you for reminding the importance of Convention 189 on Decent Work for Domestic Workers…just one thing, please avoid the word ‘servant’ which I see repeatedly in the text -e.g. ‘abuse of domestic servants across borders’-. My apologies. Thanks Silvia – I stand corrected.